Hey there guys! We hope that life is treating you well. Our today’s blog is going to be very interesting so you need to stop whatever you are doing and concentrate here as we give an update to all of you. We just got a Polaroid camera recently. And we absolutely love it. We obviously tried to stock the films as well but since the films are quite expensive, it clicked our mind that we should talk about Polaroid images in our next blog. So, here we are! Yes, owning a Polaroid camera is the new cool these days and we do get all the hype too but we also want the films to be on the less expensive lane now. We are not sure when will that happen but we have done something for you and we are sure you will love us for that. 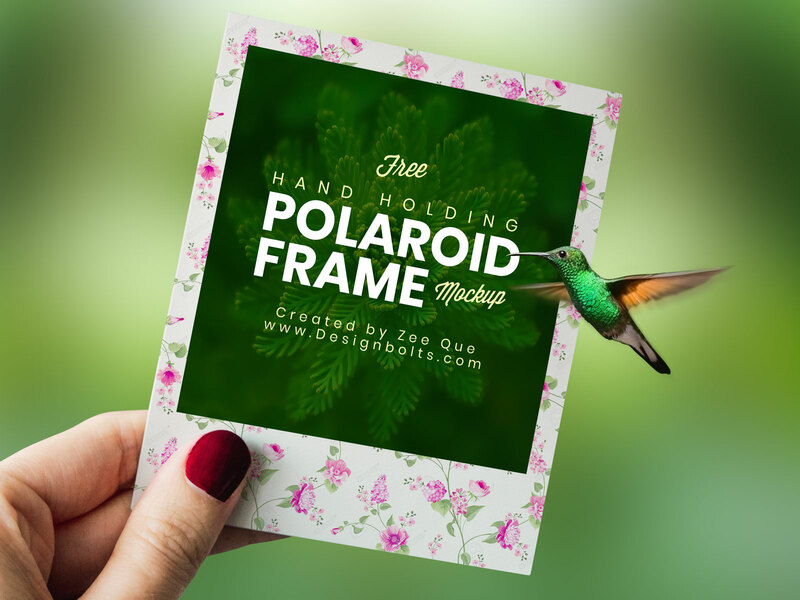 We have created a Polaroid photo frame mock-up for you which is also free to download. It does not matter if you are specifically related to the photography field, you can be benefited with this free Polaroid image mock up PSD if; you are photography student, you are working for a digital printing store or you are someone like us who loves to click and save vintage styled photographs of almost everything. With this PSD file of a Polaroid image, you can also display your vintage themed photographs and present it in your photography profile. We hope you’ll find this blog and free mockup really helpful. Until next time!